Then theres me with Matuidi as my best pull at this stage of the game while you have had more elite cards than Bateson . **** me, it seems like certain accounts are rigged and mine is on a black list for never buying FP. @Ugri You're out of the club next year. Go stream full time - that pack luck alone will get you a quadrillion followers. LOL - WTF. Also of note I'm playing WL this weekend, but ONLY tonight and Sunday night. 4-1 so far. Ugri, gosh you've hit what, 3 Icons this year? 4??? G19 0-2, Even game, another game with lots of blocks. Griezmann needs to up his contribution because when Messi is quiet I have a hard time scoring. Just had every little tackle bounce and every through ball go through my defenders legs in an online single game. 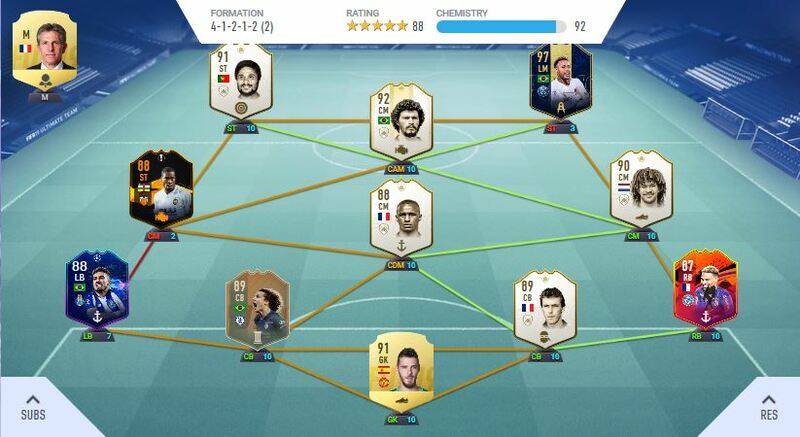 For the Naldo challenge i will use Ligue1, are ifs and totys allowed? Oh, is it 11 non rare players then?